TheraBreath, Fresh Breath Oral Rinse, Mild Mint Flavor , 3 fl oz (88.7 ml). Biotene Dry Care Mouthwash 500ml. 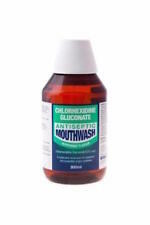 CHLORHEXIDINE GLUCONATE ANTISEPTIC MOUTHWASH. CHLORHEXIDINE GLUCONATE. PEPPERMINT FLAVOUR. CB12 Mint Menthol Mouthwash 250ml x 2 Pack. Fluoride, Triclosan, Chlorhexidine, Parabens, Saccharin, SLS/SLES, Synthetic aroma and colourants. All information about the products on our website is provided for information purposes only. This does not affect your statutory rights. Stinger, Detox Mouthwash 2 Ounce, Even taking only a small amount of drugs or alcohol in the days before a saliva test can cause a positive result., 2 FL OZ Bottle, $19.99, New, SK-006TAS-001, 818136825226, 6TASzd1. Unleash the clean feeling of Listerine on the go with Listerine READY! TABS Chewable Tablets. Vitis Gingival Toothbrush x 2 Pack. Aquafresh Big Teeth Mouthwash Mild Minty Flavour 300ml. TheraBreath, Mouth Wash, Mint Flavor, No Alcohol, NON Burning, 88.7ml. Ortho Kin Toothpaste 75ml & Mouthwash 500ml for Patients with Fixed & Removable Braces. Strawberry mint flavour,OrthoKin Mouthwash, with soothing ingredients to help reduce the inflammation caused by wearing braces. Gingivitis Mouthwash is an antibacterial, antifungal and analgesic solution indicated for a range of oral conditions. Eludril mouthwash contains two active ingredients: Chlorhexidine Gluconate and Chlorbutanol Hemihydrate which are both antiseptic agents, killing bacteria and fungi. Oraldene mouthwash contains the active ingredient hexetidine, which is an antiseptic. It can be used as a mouthwash or to gargle with. Oraldene can also be used to treat other mouth conditions that are caused or made worse by bacteria, such as gum disease, sore throats and recurrent mouth ulcers. Fresh Effect Coolmint antibacterial mouthwash 500ml. The antibacterial action fights plaque and bacteria to help protect teeth and gums keeping your mouth feeling clean and your breath fresh. Part of the Fresh Effect range. Dentyl Active Plaque Fighter in refreshing clove powerfully lifts plaque from teeth and gums, while providing long-lasting breath freshness and a tasty clove flavour. Dentyl Active is the original multi-phase mouthwash. 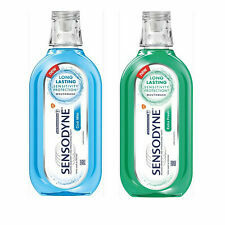 Corsodyl Mint Mouthwash is specially designed to help combat gum disease (gingivitis). 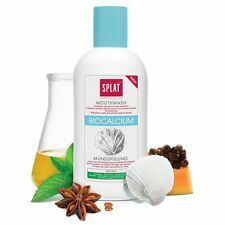 It contains 0.2% chlorhexidine digluconate which is an antibacterial agent that reduces the formation of dental plaque, as well as promoting good mouth hygiene. Sodium fluoride reduces caries by inhibiting demineralisation and promoting remineralisation of the tooth surface. A Saliva detox mouthwash with a pleasant flavour. Ortho Kin Mouthwash (500ml) for Patients with Fixed & Removable Braces. Strawberry mint flavour, OrthoKin Mouthwash, with soothing ingredients to help reduce the inflammation caused by wearing braces. Smart Rinse. For Kids 6 . Täglich angewendet bietet Sie Schutz für Zähne und Zahnfleisch. Mit Fluorid. Haltbarkeit : 12 Monate nach erstem Gebrauch. Do not use if you are hypersensitive to any of the ingredients of CB12. Keep out of reach of children. Not for children under 12 years of age. Contains 0.05% sodium fluoride. Rinse for approx. Gargle and then spit out. Listerine Nightly Reset Mouthwash 400ml. KAREX Mundspülung 400 ml PZN: 12608008. Die KAREX Mundspülung bietet Karies-Prophylaxe mit Hydroxylapatit. In der Kombination mit den antibakteriellen Wirkstoffen Zink und Xylit bitet die Mundspülung einen modernen Karies-Schutz ohne Fluorid, auch bei Speichelmangel. Täglich angewendet bietet Sie Schutz für Zähne und Zahnfleisch. Inhalt: 250ml. Curaprox CUR065X Curasept Mouthwash 0.2%, 200 mL. Exp Date: Over 2 Years. Maintenance of oral hygiene and inhibition of dental plaque formation. 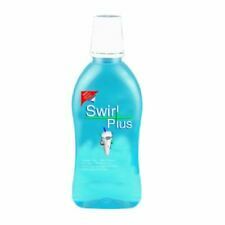 This mouthwash forms a protective shield against plaque bacteria for a healthier mouth and fresher breath. Type: Mouthwash. Capacity: 300ml. Size: 300ml. Colour: Multi. Depth: 6.5CM. Ohne Alkohol, ohne Farb- und Konservierungsstoffe. Heike Eckardt. Ein lückenloser Schutz der Daten vor dem Zugriff durch Dritte ist nicht möglich. UltraDEX Mouthwash on the Go. 10 Sachets x 15ml Unflavoured. 12 Hour Fresh Breath. GUM Paroex Mundwasser ist alkoholfrei und antiseptisch wirksam. 3 PACK Colgate Total Advanced Pro-Shield Mouthwash, Peppermint Blast 16.9 fl oz.